Mr. Antenna Cincinnati & Dayton started in February 2013 by installing flat screen TVs and antennas. We now do a significant cell phone booster business as well as TV antennas and wall mounts. We install commercial cell phone boosters under the Better Cell Signal brand. John started his career in the U.S. Air Force in 1981 working with microwave radios and other communications technologies. He uses his understanding of basic electronics and over the air communications he learned then installing TV antennas and cell phone boosters now. Today John answers the phone and does installations. Pam also helps answer the phone and keep the books. John and Pam have been married for over 30 years, they are the parents of two daughters and now have two son-in-laws and four grandsons. John and Pam are active in their church and considers their Christian faith the key to their success. Jeff has been a remodeler and contractor his entire adult life. Installing antennas, TVs, and cell phone boosters has been an easy transition. Jeff’s personal moto is if he wouldn’t install it in his house, he wouldn’t install it in someone else’s house either. 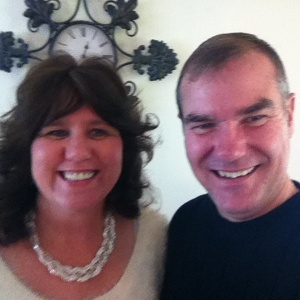 Jeff and his wife Angie have been together for over 10 years and are almost empty nesters. They have 5 children, and 3 grandchildren. They enjoy cooking, time together, and walking their golden retrievers Daisy and Gretchen. Zach serves as our CFO and has extensive experience helping companies formulate, implement and measure strategic business plans. His background encompasses 15 years climbing the corporate ladder at large Fortune 100 companies and 10 years as a mid-market financial leader. The last four years he has embarked on a business consulting mission where he helps small companies charter a course towards future prosperity. Zach has been married for 20 years and has three awesome children. Their family resides in Blue Ash where he is actively involved coaching youth sports and with fatherhood initiatives through Sycamore Schools. Scott worked in the cable TV industry for over 10 years. He saw the light and now installs antennas and cell phone boosters. Scott is a Ball State University graduate, Marine Corps and Sheriff Department veteran. Scott and Hanna have been married 12 years, are active in their church, and have 3 high energy boys. Greg joined us in 2018 and comes to us with over 35 years in manufacturing and sales. He and his wife, Vickie, are both from the Cincinnati area and have been married for 30 years. Together they enjoy traveling and experiencing new wines. Our goal is to make you a satisfied client and a friend. We look forward to working with you.